The ongoing dialogue about how to establish if endocrine-disrupting chemicals may have an effect on human health and the environment is like much of the conversation we have about science in general today: hazard versus risk. The crop protection industry has a duty to objectively assess the impacts of its products on crucial areas of the environment to ensure “no unreasonable adverse effect” is associated with exposure to a product, which is the safety standard for pesticide regulation in the United States. This is based on thorough risk assessment, including potency and exposure, unlike the hazard-based approach currently proposed in the European Union. In the 1990s, some scientists proposed a link between certain chemicals and disruption of the endocrine system in humans. In laboratory settings, a number of chemicals had been associated with endocrine-disrupting effects, including developmental and reproductive problems. To evaluate such potential effects from pesticides intended for food crops, in 1996, the U.S. Congress passed the Food Quality Protection Act and Safe Drinking Water Act to amend the Federal Food, Drug, and Cosmetic Act – the foundation of U.S. food law intended to ensure consumer safety. These amendments, in part, instructed the United States Environmental Protection Agency (EPA) to screen pesticide chemicals for their potential to produce negative effects on the human endocrine system. These two legislative acts provided the first official regulatory process for evaluation and regulation of endocrine disruptors on the planet. Under the Federal Insecticide, Fungicide, and Rodenticide Act (FIFRA), the crop protection industry is required to conduct hundreds of scientific assessments of products to study environmental and human health effects and characterize risks. The consideration of risk in U.S. regulation is an established principle of the regulation of chemicals and foods – a requirement to consider any pesticide hazard and any associated exposure under its labeled use. Such a scientific basis for regulation is essential to reasonable and relevant safety evaluations of crop protection products. In the United States, as we see technology and science moving at a very rapid pace, we also see U.S. legislation and regulatory response to such innovation and knowledge. The EPA manages a risk-based approach to safety assessment of pesticides and other chemicals, including tests for any potential endocrine disruption. The EPA’s Endocrine Disruptor Screening Program (EDSP) outlines a two-tiered approach to scientific risk assessment of pesticide chemicals by screening for their potential to produce endocrine responses in the human body, while reducing animal testing and providing timely outcomes for risk assessment. The first tier of the EDSP is part of the pesticide registration review. The EDSP applies to both new chemical registrations and periodic EPA reviews of existing chemical registrations. Testing of a chemical’s active ingredient(s) occurs prior to the initiation of the registration process; this testing is integral to the FIFRA assessment for pesticides. Specific tests are identified and to the extent that high throughput screening can be used, such methods allow a large number of chemicals to be evaluated for specific bioactivity at the molecular or cellular level. Depending on the outcome of Tier 1 testing, a compound will be found to not present an unreasonable risk of harm and not require further assessment or it will require further, more refined Tier 2 testing. This two-tiered approach, complete with relevant and timely screenings, represents the hallmark of the U.S. regulatory system. Consideration of exposure of compounds is integral to a relevant assessment of food or chemical safety. We continue to watch global developments in chemical regulation, including the recent criteria for endocrine disruptors published for comment by the European Commission. We have commented on these criteria and historically have followed the dialogue occurring in the EU. At CropLife America, we strongly believe that the risk-based approach taken in the U.S. to assess consumer and environmental safety creates greater certainty to regulators, industry and consumers. We hope that the EU will look at the U.S. system as a model with its own chemical regulation. Moving from a hazard-based approach to one that’s risk-based will not only protect human and environmental health but also technology and innovation. 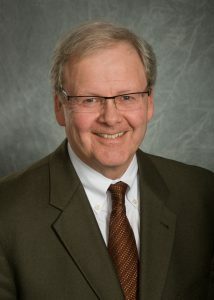 Jay Vroom is president and chief executive officer of CropLife America in Washington, D.C.
 Food Quality Protection Act. 1996. Public Law 104-170-Aug. 3, 1996. 110 STAT. 1489. FQPA of 1996. 7USC 136.note, to amend the Federal Food, Drug and Cosmetic Act. Safe Water Drinking Act. 1996. Title XIV of the Public Health Service Act. Federal Food, Drug and Cosmetic Act. 1938. S21 U.S.C. §301 et seq. (2002) (301-399). Federal Insecticide, Fungicide and Rodenticide Act, as amended (7 U.S.C. 136-136y).